Your nose knows best – there are smells that will always send you back in time to when you were strolling the busy, sweet and sour-smelling streets of Istanbul. 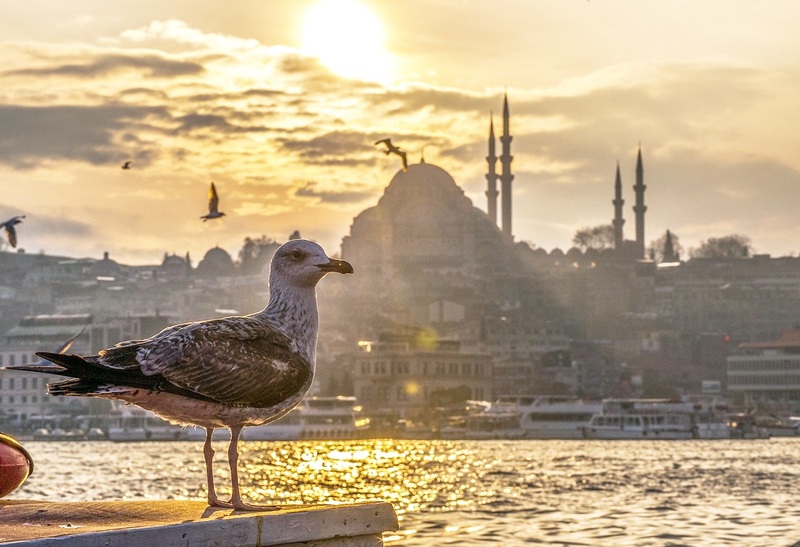 Even with your eyes closed, you can be sure that you are in the city on the Bosphorus when you feel the whiff of hot simit or freshly pot-simmered Turkish coffee. Here’s a list of some of the most prominent aromas that you can smell in Istanbul. 1. Steaming simit from the red carts early in the morning. 2. The aroma of Turkish coffee served from a cezve (pot). If you are used to drinking your coffee without sugar, don’t forget to order it “şekersiz” ([shay-ker-seez], no sugar) or otherwise, you will be served a cup of thick teeth-melting sugar substance. 3. Freshly prepared apple tea, poured in a tulip-shaped cup, of course. 4. The smell of too many people in the tram in the summer. 5. Baked fish sandwich (balik-ekmek) at the Galata Bridge. All cooking being done on an open fire on board swaying boats. 6. The smell of the Bosphorus. 7. The smell of new leather at the Grand Bazaar. 8. The rich mixed aromas of hookah tobacco. 9. The smell of feet in the mosques. 10. The refreshing pomegranate juice. 11. The mixture of exotic spices and herbs at the Egyptian Bazaar. 12. The underground moisture at the Basilica Cistern. 13. The horse smell at the Prince’s Islands, where no cars are allowed and the only way to move around is to ride a bike or to get a horse carriage. 14. The heavy oriental musk perfumes that you can smell on the streets. I have to especially agree with you on the orange and pomegranate juice stands all over the Sultanahmet historic district. Last time I was there, the Grand Bazaar was being renovated, and I was only able to tour the Egyptian Spice Bazaar. I’d return to Turkey any day, it’s a wonderful country.